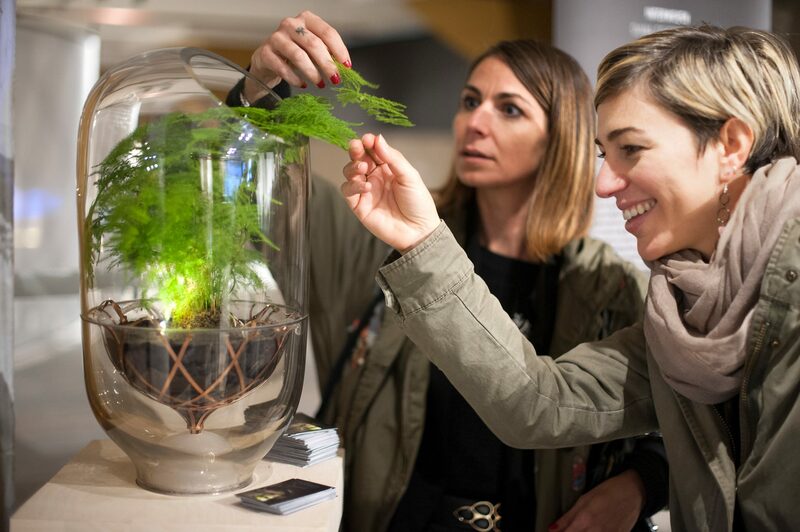 ___Regeneration – Biotalk is a collaboration between Transnatural and Mediamatic and consists of two days and nights full of exciting talks and projects revolving around the topic of restoring and revitalizing our ecology. The Regeneration – Biotalk nights explore the topic of geo-engineering by means of examples from art, design, science and other fields. A showcase and workshop program will accompany the talks that discuss the recent developments in the bio-cultural landscape. The Regeneration exhibition runs until the 28th of April 2017 at the Transnatural workspace. Plant roots are intelligent; they are able to detect gravity, moist, and chemicals. 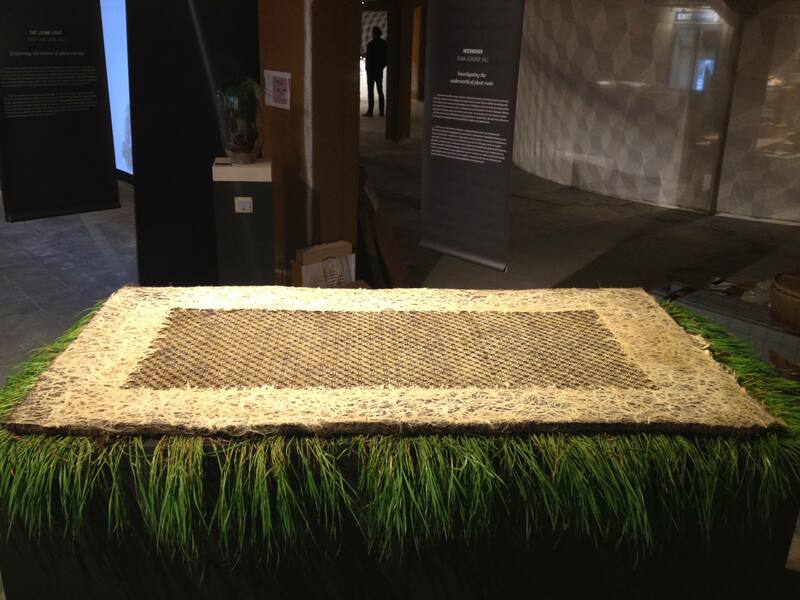 Diana Scherer uses this plant root intelligence for growing fabric-like textures below ground. 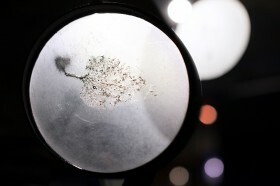 Together with the Radboud University, Scherer grows this new material in the universities’ greenhouses and conducts further research with scientists. Scherer’s research has recently been awarded with the New Material Fellow Award. The mineral olivine is capable of eliminating harmful CO2 emissions. When it comes into contact with CO2 and water, olivine dissolves and turns the CO2 emission into harm-free bicarbonate. Instead of making use of olivine, it is mostly CCS (Carbon Capture and Storage) the government has focused on as a way to deal with CO2 emissions. Professor dr. Olaf Schuiling first published about the effects of olivine in 1964, and has continued his research ever since. 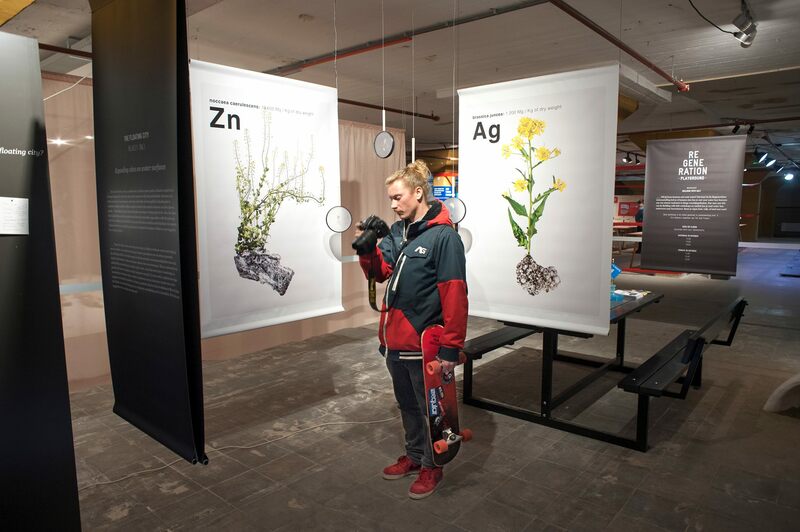 Specific plants are able to absorb heavy metals – like zinc, nickel, or copper – from the soil. Together with Giovanni Innella, Gionata Gatto created the GeoMerce project that tracks these plants’ metal absorption and connects it to the real-time value of the metals involved. 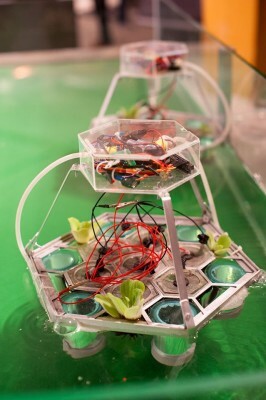 This process of phyto-mining proposes a new system in which agriculture, metal extraction, and economy are interconnected. The Caravel workshop explores the potential of robotic swarms that autonomously operate in (polluted) water areas, harvest their own energy and purify the water. Interwoven by Diana Scherer, Caravel by Ivan Henriques.